Andie MacDowell will be a pioneer for the Hallmark Channel, starring in the network's first prime-time series. Hallmark said Wednesday that MacDowell will portray municipal court Judge Olivia Lockhart in "Cedar Grove." It will start with a two-hour movie airing later this year and continue with a 13-episode series early in 2013. The new series is based on books by author Debbie Macomber. Movie adaptations of Macomber's books have been among the top-rated programs that Hallmark has shown over the past three years. MacDowell's movie credits include "Groundhog Day" and "Four Weddings and a Funeral." What do you think? Is it a good choice for the Olivia Lockhart character? I've always liked Andie MacDowell and her Southern accent. I can hear her voice in those Loreal ads talking about grey hair and she says in her Southern way- "As if I ever had any!" Anyway - I think Andie seems smart and sassy - a great character combo, if you ask me. However, I haven't read the book series - so what do you think - if you've read them or not? See the Cedar Cove Movie / TV Series Page for more details. See the Cedar Cove Book Series Page for Reading Details. I thought I would list the books in order, with brief descriptions, by Debbie Macomber - for any you who might be interested in the series, as well. Dear Listener, You don't know me, Olivia Lockhart, yet, but in a few hours that's going to change. You see, I'm inviting you to my home and my town of Cedar Cove, because I want you to meet my family, friends, and neighbors. Come and hear their stories - maybe even their secrets! I have to admit that my own secrets are pretty open. My marriage failed some years ago, and I have a rather...difficult relationship with my daughter, Justine. Then there's my mother, Charlotte, who has plenty of opinions and is always willing to share them. Dear Listener, If you've been to Cedar Cove before, we've probably met. You can usually find me, Grace Sherman, either at home or at the public library, where I work. I've lived in this town all my life and raised two daughters here. But my husband and I - well, about six months ago, he disappeared. Just...disappeared. Where's Dan? Why did he go? Who's he with? Will I ever find out? Dear Listener, One thing about Cedar Cove - people sure are interested in what other people are doing. Take me, Rosie Cox, for instance. Everybody in the town knows that my husband, Zach, and I recently got a divorce. Everybody also knows that Judge Olivia Lockhart decreed a pretty unusual custody arrangement. It won't be the kids moving between my place and Zach's. We're the ones who'll be going back and forth! I, Peggy Beldon, love living in Cedar Cove, but things haven't been the same since a man died in our B and B. Turns out his name was Max Russell, and Bob had known him briefly in Vietnam. We still don't have any idea why he came here and - most important of all - who killed him. Because it now appears that he was poisoned. I sure hope somebody figures it out soon! Considering that I, Corrie McAfee, am married to Cedar Cove's private investigator, you might think I enjoy mysteries. But I don't - especially when they involve us! Roy and I have been receiving anonymous postcards and messages asking if we "regret the past". We don't know what they mean. Justine and Seth Gunderson are feeling the shock of the arson that destroyed their restaurant. They're eager to move on, but divided over which direction to take. Meet blissfully happy newlyweds Bobby and Teri Polger. He's an international chess champion, she's a salon stylist, and both will soon be confronted by deadly threats from a vindictive Russian rival. I, Emily Flemming, have something to confide in you. I think my husband, Dave, might be having an affair. I found an earring in his pocket, and it's not mine. I'm also worried because some jewelry was recently stolen from an old woman - and Dave used to visit her a lot. You see, he's a pastor. And a good man. I can't believe he's guilty of anything, but why won't he tell me where he's been when he comes home so late? I, Troy Davis, am not much of a letter-writer. As the sheriff here, I'm used to writing incident reports, not chatty letters. But my daughter, Megan -- who'll be making me a grandfather soon -- told me I had to do this. So here goes. Guess what? I, Mary Jo Wyse, am falling in love! With Mack McAfee. My baby daughter, Noelle, and I have been living next door to Mack since the spring. I’m still a little wary about our relationship, because I haven’t always made good decisions when it comes to men. You’ve probably heard that my wife has left me. Rachel’s pregnant, and she says she can’t handle the stress in our household anymore. My 13-year-old daughter, Jolene, is jealous of her. Maybe it’s my fault. As a widower I, Bruce Peyton, spoiled her. First, drop in at 5-B Poppy Lane, where you’ll get a chance to visit with Helen Shelton; her granddaughter, Ruth; and Ruth’s husband, Paul. They’ll offer you a cup of mulled cider and the story of how they met – and they’ll share Helen’s breathtaking adventures during the Second World War. Then drive out to Grace and Cliff Harding’s place. They have a small horse ranch not far from Cedar Cove. Mary Jo Wyse and her little girl, Noelle, will be there, too. Join them in reliving their memories of the Christmas Mary Jo came to Cedar Cove, pregnant and alone, and had her baby in the Hardings’ stable (well, actually the apartment above it). That’s the night firefighter Mack McAfee began to fall for Mary Jo and the idea of a family – with her. Now, from Debbie Macomber's Cedar Cove Cookbook, you can relish in your own home the same superb meals found in Cedar Cove's households. Charlotte Rhodes, one of the series' most beloved characters, invites all fans of Cedar Cove, as well as anyone who enjoys classic home cooking, to join her in touring the town's kitchens as she shares more than 130 of her treasured family recipes. (And she's got plenty to tell you about the people of Cedar Cove, too! Please let me know what you think of the Cedar Cove Book Series. Have you read some, all, or none? Are you interested or not interested? Also, for those who have read it - if you could rate a book, like a movie, would you say it was "G", "PG", or "PG-13"? Would you compare it to any other books or authors? Did you enjoy the series? Please share your thoughts by clicking on "Comments" or "Post a Comment" below. Also, the Cedar Cove Book Series will be coming to the Hallmark Channel as a Weekly TV Drama Series. Are you excited to see these books come to TV? This is an Archive of the Family TV Schedule from May 2012. This posting is simply for your reference - if you perhaps, want to look back over the month. 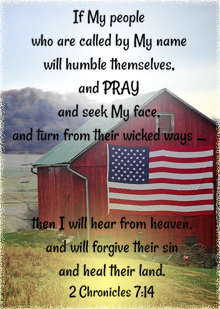 Memorial Day ~ "Gob Bless America and All of our Veterans!" Sunday, May 27th, from 8:00 to 9:30 pm ET (check your local PBS listings - there will also be repeat airings). "On the eve of Memorial Day, a star-studded line-up will grace the stage for one of PBS’ highest-rated programs. The multi award-winning television event has truly become an American tradition, honoring the military service and sacrifice of all our men and women in uniform, their families at home and those who have made the ultimate sacrifice for our country. The program is co-hosted for the seventh year by Tony Award-winner Joe Mantegna (“Criminal Minds”) and Emmy Award-winner Gary Sinise (“CSI: New York”), two acclaimed actors who have dedicated themselves to veteran’s causes and supporting troops in active service. They will be joined by an all-star line-up including: distinguished American leader Colin L. Powell USA (Ret. ); the multi-platinum rock band Daughtry; nine-time Grammy award-winner, singer and songwriter Natalie Cole; country music superstar Trace Adkins; “American Idol” finalist Jessica Sanchez; Emmy, Oscar and Tony award-winning actress Ellen Burstyn; Emmy and Golden Globe award-winning actor and Vietnam veteran Dennis Franz; celebrated film and television actress Selma Blair; and world renowned tenor Russell Watson; in performance with the National Symphony Orchestra under the direction of top pops conductor Jack Everly. The concert is broadcast live on PBS and live via American Forces Network to the nearly one million American service men and women, Department of Defense civilians and their families overseas, stationed at bases in 175 countries, as well as 140 U.S. Navy ships at sea." I watch this program every year and I am always extremely proud and deeply touched by the personal stories of courage and bravery of our troops. We should never forget the sacrifices our Military has made and continue to make today, for this country and our freedom. God bless them and America! Our prayers are with you! *See the PBS National Memorial Day Web-site for more details. *See the Family TV Schedule for additional air times. The Last Song follows Ronnie (Cyrus) and her estranged father as he tries to restore the loving relationship they once had. But reconnecting with his rebellious daughter isn't easy, so he chooses the one thing they still have in common -- music. This uplifting and touching drama about family, first loves and second chances is a heartfelt story you won't soon forget. With the Middle East in turmoil, Israel’s preeminent ally is thrust into an impending war. America is now the target as the battle for Jerusalem begins. The film is adapted from the Best Selling Book by Pastor John Hagee. When nuclear weapons are smuggled into America a Senior FBI Agent is faced with an impossible task: Find them before they are detonated. The clock is ticking and the only people who can help are a washed up arms dealer a retired agent and a by-the-book CIA deputy director. Nuclear holocaust on American soil threatens global stability and the impending destruction of the world is coming to fruition, in this film of international terror and suspense. Please Note: This Movie is RATED PG-13. As mentioned in the description above - it does contain terror and suspense. WARNING: Please know, I am not including this Movie on the Family Schedule. I am writing this post to warn you that this show is extremely violent with killings, shootings, and scalpings... way more than your average "old-fashioned" western movie. Also, it includes other inappropriate situations (including sexually graphic scenes). I typically enjoy your run-of-the-mill "Good Guy" Cowboy film - who carries a gun, rides a horse, and captures the "Bad Guys" - but after reviewing several promos for this mini-series, I wanted to be certain to warn you of the graphic nature of this movie series. The feud of the Hatfields & McCoys began after the Civil War, and is a part of our American History. Many war movies are graphic, as well - and I'm not saying do not watch them... however, I am warning you of the intense violence of this film and letting you know this (dramatized) program, is NOT appropriate for young viewers - while I'm sure it will be a hit with some adults, who enjoy History - like my Uncle, who is a Civil War History buff. *See the History Channel Page on the Hatfields and McCoys for more details. Also, see the IMDB page for the Hatfields & McCoys, for more Images of this film. *Please remember: I am NOT endorsing this film - especially for family viewing. 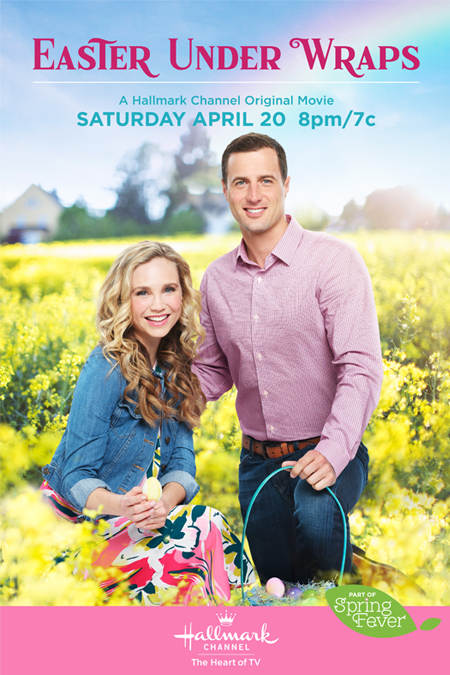 Hallmark's "Kiss at Pine Lake" & GMC's "Smitty" Premiere this Weekend! Kiss at Pine Lake, a Camp "Romantic Comedy" Movie, premieres on the Hallmark Channel at 8 PM and repeats at 10 PM. Movie stars Barry Watson, well known as Matt Camden on 7th Heaven. Smitty, a Family "Dog" Movie, premieres on GMC at 7 PM and repeats at 9 PM and 11 PM! This movie stars Academy Award winning Actress, Mira Sorvino. Hope you enjoyed the previews - and will also enjoy the movies this weekend, too! *See the Kiss at Pine Lake Page, for more Movie Details and Pictures of the Camp! *Check out the Smitty Page to see an adorable Picture of the dog, named Smitty, driving a John Deere Lawn Mower - it's soooo cute! The Family TV Schedule includes the times airing for these movies and more! "Notes from the Heart Healer" Re-airs this Weekend! I have received many messages from those of you who enjoyed the newest Hallmark Channel Movie, Notes from the Heart Healer and messages from some of you who missed the premiere. Well, if you missed the initial airing of Notes from the Heart Healer or if you would like to see it again, than mark your calendars - the movie will re-air one more time during this upcoming weekend - on Saturday May 19th at 4 PM! Be sure to set your recorders & dvr's! I was busy over Mother's Day weekend, spending time with my family and of course, my Momma, so I haven't viewed it, yet... but I have it recorded and I'm looking forward to watching it (hopefully) soon. 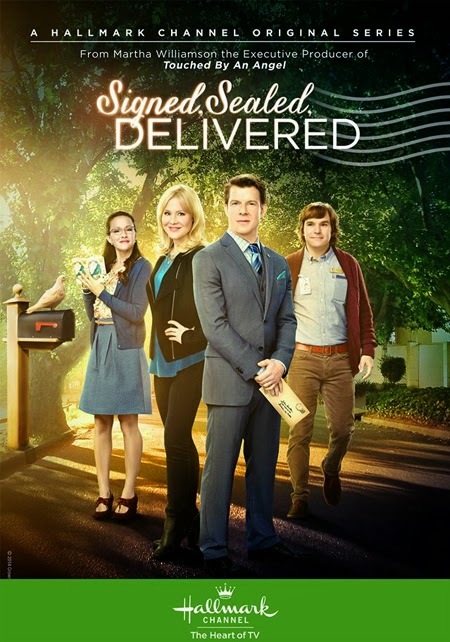 *By the way, I have seen alot of the Hallmark Channel Schedule up until mid-June and it looks like many of the weekends are going to be filled with Marathons of Sitcoms and Dramas, instead of Hallmark Movies - so, I'm giving you a "heads up" - be sure to "catch" this movie now while you have the chance. It might be a little while until it is aired again. See the Notes from the Heart Healer Page for more details! "Notes from the Heart Healer" Premieres Mother's Day Weekend! 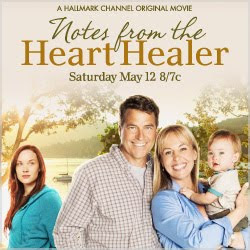 The All New NOTE MOVIE Titled: Notes from the Heart Healer Premieres May 12th, 2012 - Saturday Night on the Hallmark Channel. This is the third movie in this series. If you would like to take a look back at the first two movies, then visit the pages - The Note and The Note 2: Taking a Chance on Love. They are also available on DVD and Instant Video. See the Notes from the Heart Healer page for more details and pictures for this new Movie. 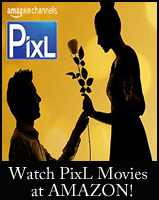 Mother's Day Gift Ideas - Movies and More! If you, perhaps, have an Amazon Prime membership, then it's not too late to order something special for your Mother for Mother's Day! Visit this link for more ideas! If any of you have any of the items above - would love to know how well you like them! You have the hardest job on the face of this earth! God bless you all! 13-year-old Ben has done it again... and his struggling single mother has had enough of him getting into mischief. Now, Ben has to choose between going down the path of Juvenile Hall or spending the summer in Iowa on a farm with his estranged grandfather. The day after arriving, Ben is ready to leave. To help Ben get a friend, his grandfather gets him a dog from the local animal shelter. Between the dog and a friendly neighbor, Ben soon learns life lessons about friendship, family and responsibility. When Anna's (Amy Adams) four-year anniversary to her boyfriend passes without an engagement ring, she decides to take matters into her own hands. Inspired by an Irish tradition that allows women to propose to men on Leap Day, Anna follows Jeremy (Adam Scott) to Dublin to propose to him. But after landing on the wrong side of Ireland, she must enlist the help of the handsome and carefree local Declan (Matthew Goode) to get her across the country. Along the way, they discover that the road to love can take you to very unexpected places. Jane Seymour stars in "Lake Effects" - first weekend in May! 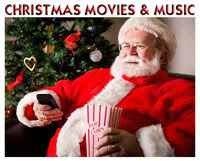 If you have the Hallmark Movie Channel - then you are being treated this weekend to another Original Made-for-TV Movie! Last week, they premiered Duke, the story of a disabled veteran (portrayed by Steven Weber) and his dog. 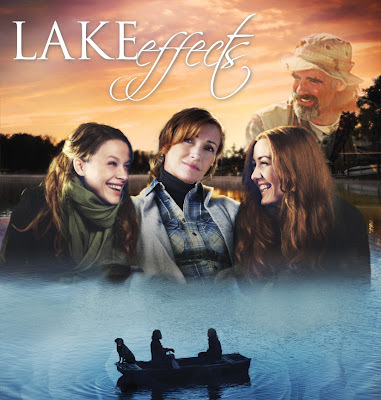 And, this weekend, on May 6th, they are premiering Lake Effects, starring Jane Seymour (best known as Dr. Quinn Medicine Woman). Please Note: After seeing a Promo video, I must caution that this Movie may include Language, and other Situations, Etc... not appropriate for family viewing, unless some content is editted by Hallmark. If you would like to view this promo, you can do so on You Tube. *See the Family TV Schedule for More Movies & Additional airings of Duke and Lake Effects. *See the Lake Effects Page for more Pictures and Details! Movies & More ~ First Weekend in May! 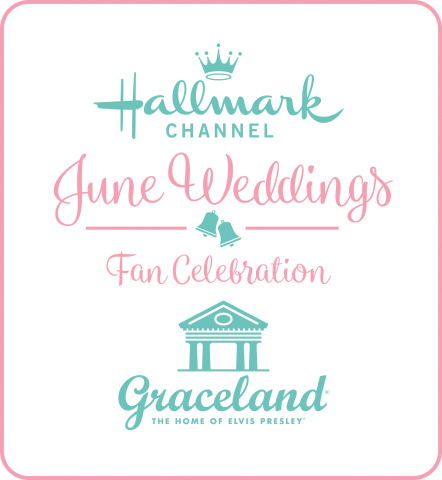 Duke will re-air twice on the Hallmark Movie Channel at 8 PM and 10 PM. See more times on the Family TV Schedule. It's "Kentucky Derby" Day! Pick your Favorite Horses and watch them race at 4 PM on NBC. Oh, there's nothing like that moment of hearing them sing, "My Old Kentucky Home!" Be sure to catch one of my favorite Hallmark Hall of Fame Movies, Front of the Class on the Hallmark Channel at 4 PM! Another inspiring movie, The Walmart Family Movie, Change of Plans, will re-air on Lifetime Movie Network at 8 PM and 12 AM! Pride & Prejudice, an absolutely beautiful rendition of this Jane Austen story, starring Keira Knightley, airs on E ! at 8 PM. And, if you are in the mood, perhaps, for a little silly Christmas Comedy, then you can watch Good Luck Charlie, It's Christmas! on the Disney Channel - at 9 PM and 12 AM. Catch another one of my favorite Hallmark Hall of Fame Movies, The Magic of Ordinary Days, on the Hallmark Channel at 2 PM or 8 PM. Lake Effects, the newest Hallmark Movie Channel film, will PREMIERE at 8 PM and 10 PM.